House "Milimatta" is an apartment building, which is mostly inhabited by locals. During the year 2010, the house was completely renovated. The house is surrounded by green fields which partially can be used as a sunbathing lawn. In front of the house a parking space can be used for free. 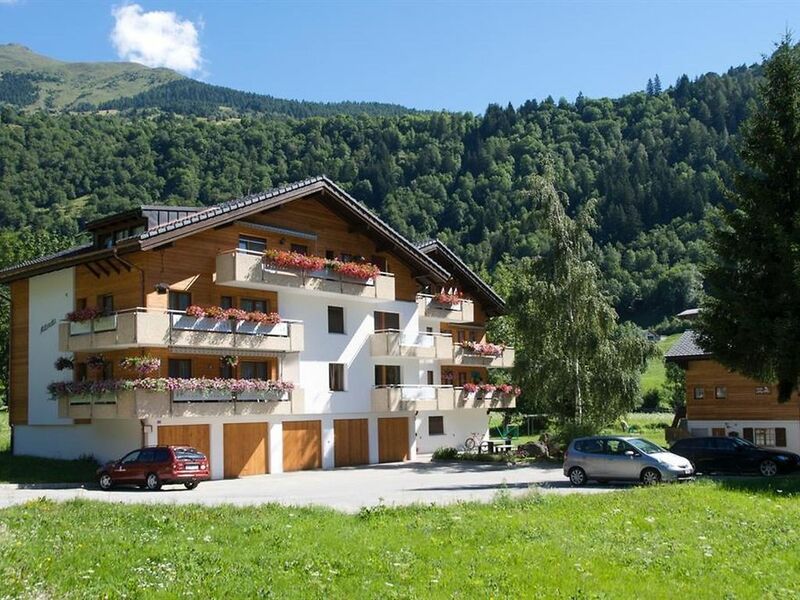 At the entrance of the house, there is a storage room for ski, sledges, bikes and a washing room with washing machine and tumbler. Small and cosy 25 square meter studio on the first floor and balcony with south exposition. I was renovated in 2018 and has a very nice view to the mountains. Our Studio is a single room flat with a pantry kitchen, two separated foldaway beds and a separated bathroom. Free WLAN (max 12Mbit). In the house you'll find a room with a washing machine and tumbler. A storage room for ski and bikes is available as well. A free parking lot is directly in the front of the house. The next flying school is located within 200m distance. The Studio is for 2 persons max. Non-smoker, no pets. Minimum 3 days to stay. Arrival ist possible Monday to Saturday.